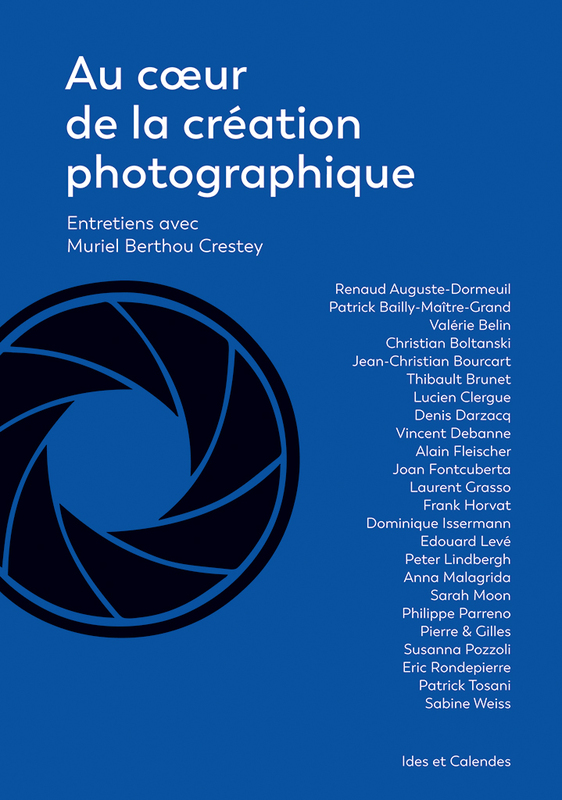 Muriel Berthou Crestey’s book, “At the heart of photographic creation” offers a meeting with 24 of the greatest contemporary photographers. Photographers speak. What are the regrets or surprises that punctuate a photographer’s life? What are the corresponding realization, sharing and selling strategies? What are the starting points, the theme, the forms, etc. ? What are the moods of photographers? How have new technologies changed their practices? To answer these questions and many others, Muriel Berthou Crestey met photographers representative of various movements of the contemporary era. The Eye of Photography presents to you in the coming days extracts from these interviews, today PATRICK TOSANI. B. C. Do you envisage the camera as a mode of transfiguration of the real? T. My goal is to create a “survisibility” through framing and positioning. It is because photography offers us this almost scientific proximity with reality that it allows, at the same time, a great distance, because the image is completely silent. My research is to copy reality. In some recent works, I re-photograph an almost excessive material. And this doubt between painting and photography interests me. Photography is positioned in this curious space between a great presence to things and at the same time a hieraticism, a coldness. This series of Portraits is quite revealing: I did everything to feel like touching the image, even though this experience would be ridiculous. B. C. How do you determine the angles of view? T. The only choice of the frame induces a strangeness of the body. I use photography to produce a transformation of the gaze. For the hair series, for example, the heads are isolated to offer “extracts of the real”. I make a device so that the model enters the field of the image and is transformed by the situation. It’s included in a frame that I made. There is no editing. My photographic experience is in the real world and not in the computer. T. You put your finger on what I’m looking for. Photography is only a question of surface and image. I may only be talking about this surface, hoping that it will awaken a real depth. I say easily that the image goes to the surface. The way of photographing and the choice of viewing angles bring the body back to the surface (be it the head or the underside of the body). B. C. Land art, Francis Ponge and John Hilliard have been cited as references for your work. Are these influences still valid for your current work, or would others be added? T. The references that matter to me are already present in my youth work. Moreover, this is what I repeat to my students: what they are doing now is rooted somewhere. The people I quote are benchmarks and count a lot. After, they continue to exist otherwise. I am bound to a story. To situate my work, we must also talk about the technological anchoring in which it fits. At the time of the 1980s, the question of format became central. And I’m probably part of this movement. B. C. Each series is connected to the next, as if it were a letter of the Tuscan alphabet to write a poem on the question of the body and its representation. Do you perceive a continuity between the series? T. I use a very descriptive writing. For me, it’s all about explaining the question of doing. So, I am very concrete. Artistic work is the simultaneity of doing and thinking. And I have always introduced this link between my series in my work. Chronologically, I go from Rains to heels in a simple way. I brought so much detail to the realization of Rains, with the idea of ​​a flow, that I understood the descriptive capacity of a thing. B. C. What would you do if you could become invisible? T. (silence). It’s a funny question. It would be almost metaphysical. I would like there to be a great invisibility, a discretion of the artist, in my work. And at the same time, it is not quite true, because I put forward forces and visual potentialities that could oppose it. There would be something of the order of disappearance, of a great fragility of things. From there to switch in invisibility and do almost nothing, that would be an answer that I could do to you. I recently listened to a very interesting lecture by Victor Burgin about digital software for walking in a virtual space. But there is no more look. Who films? Personally, my situation in one place is important while others question this contribution of the gaze. With the virtual, the question of the invisible shifts perhaps another step.